Originally from West Africa, Antoine came to the US when he was 10 and played basketball all through high school. After suffering an injury his freshman year of college, he switched his focus to boxing. 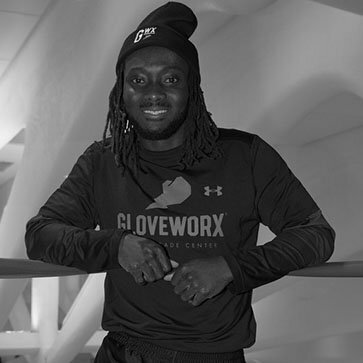 Antoine preaches repetition and can constantly be heard telling his clients to “remain patient.” He knows success at boxing means starting with the basics and taking it step-by-step. Whether it’s your first-time boxing or you’ve been around the sport for years, you’ll definitely learn something new from Antoine. Book an hour-long private training session with Antoine Kuessan that’s dedicated to focusing on your improvement. This customized program will help you bring out your inner contender.